Abstracts are now being accepted for Poster Session. What's happening when and where on Tuesday, May 15. 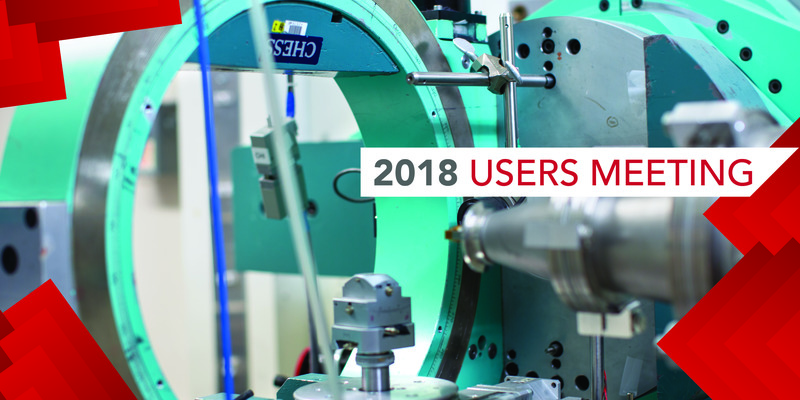 Call for Posters: CHESS invites all scientists, researchers, post docs and students to submit posters for the Poster Session to be held during the Annual Users' Meeting. Parking around campus can be found using Cornell's interactive map; be sure to checkbox the "Metered Parking" and "Pay-by-Cell Parking" options.